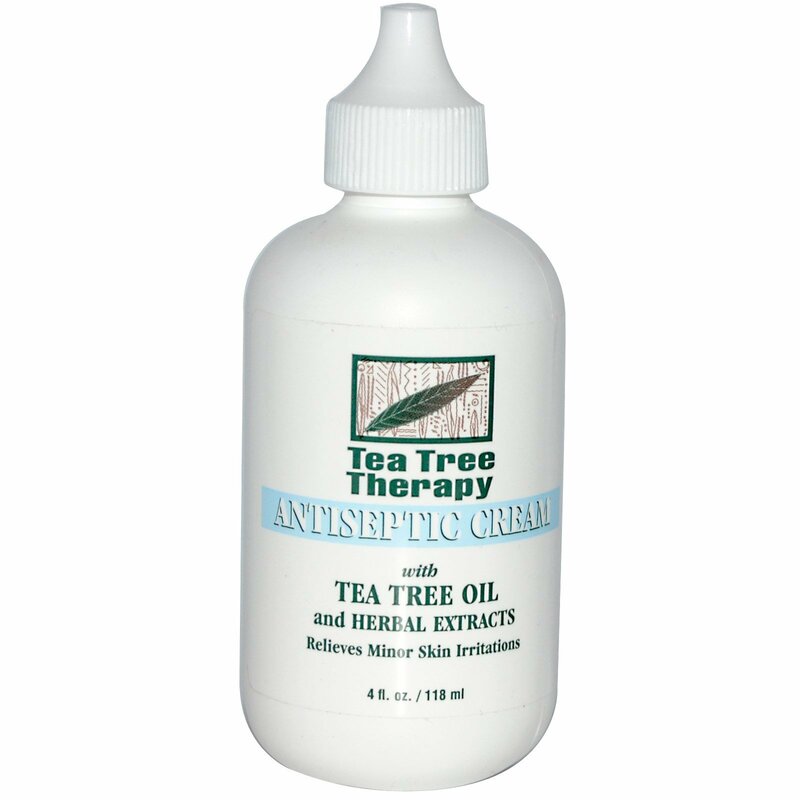 Tea Tree Therapy Antiseptic Cream with its soothing and cooling action relieves minor skin irritations such as rashes, minor cuts, sunburn, scratches and insect bites. Apply directly to affected area as often as necessary. 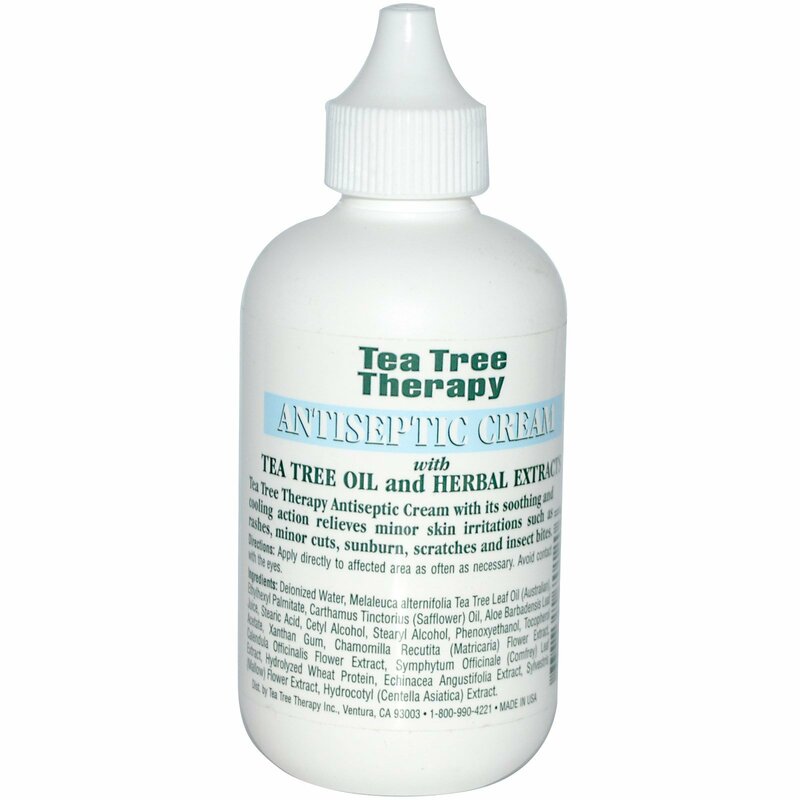 Deionized water, melaleuca alternifolia tea tree leaf oil (Australian), ethylhexyl palmitate, carthamus tinctorius (safflower) oil, aloe barbadensis leaf juice, stearic acid, cetyl alcohol, stearyl alcohol, phenoxyethanol, tocopherol, acetate, xanthan gum, chamomilla recutita (matricaria) flower extract, calendula officinalis flower extract, symphytum officinale (comfrey) leaf extract, hydrolyzed wheat protein, echinacea angustifolia extract, sylvestris (mallow) flower extract, hydrocotyl (centella asiatica) extract.